It’s not finished, but my office redo is coming along pretty well. 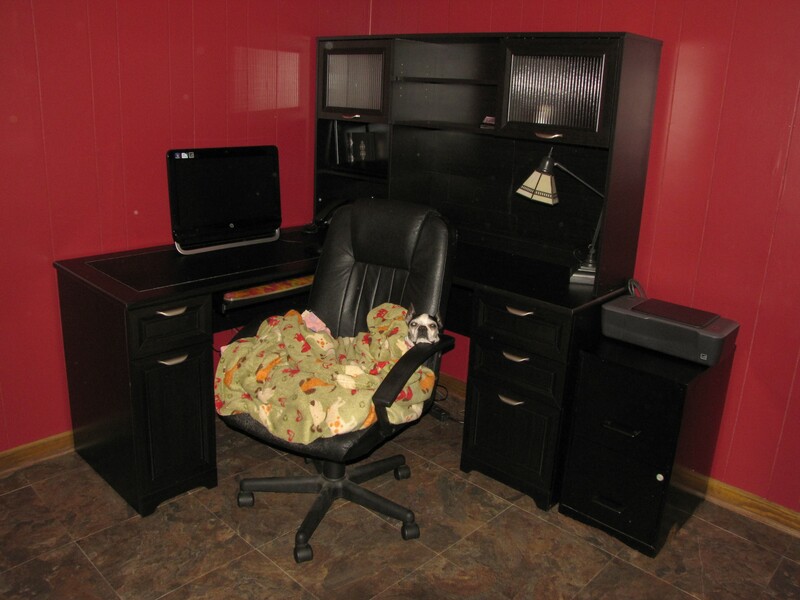 Here’s a sneak peek at the new desk, with Maizy in the chair and in charge. 🙂 The blankets are hers and I don’t have all my stuff on the desk yet, which explains why it’s neat and uncluttered.